We need to look more closely at how the icecaps may be melting and what the economic and power benefits are of these newly usable land and water areas. What countries and corporations would benefit? What is the cooperation of the United States and the former Soviet Union really all about? What is the main purpose of the joint Russian/ American Space Station(s)? We need to understand more about the Strategic Defense Initiative proposed by Reagan in 1983. The slang name given to it was Star Wars. When did the global warming propaganda begin? The article at this link (http://towardfreedom.com/home/content/view/1721/1/) speaks of how in ten years most of the ice caps will have melted. This extremely fast paced melting would seem more likely to come from a source which would be focusing on the economic benefits available to whomever could melt these ice caps. 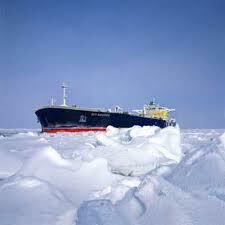 Terms to search would be "directed energy weapons", particle beam weapons, benefits of melting polar ice, trade routes and melting ice caps, Law of the Sea Treaty. I think what we also need to realize is that corporations are now meshed with governments....even with the United Nations. So...be leery when you hear of The United Nations needing to enact certain environmental laws to supposedly control or regulate rogue nations....for the purpose of "saving the earth" from environmental destruction. It appears that it is these very entities which are screaming "global warming"... who may also be melting the polar ice caps with directed energy technology. They could be doing this for economic gain and at the same time blaming the public at large and in the future subsequently taxing them with environmental taxes. Think carefully about crop circles. People who have examined the bent grains involved have stated that microwaves could accomplish this feat. Microwaves are a form of directed energy weapons. The satellites orbiting the earth, I'm sure have very advanced computer systems which would have no problem creating the intricate crop circle patterns. I would like to share something I have noticed concerning crop circle propaganda. I feel that some of the "alleged" crop circle investigators use a type of persuasive thought control which utilizes a certain type of message delivery. For example... certain investigators will make distinctions between "man made" crop circles .... circles caused by hoaxers..... and the "natural" crop circles or non man made crop circles. When this type of comparison is made, the hoaxer or man made crop circles are almost always referred to as those made by humans tramping around the fields with boards and ropes. When non-manmade crop circles are spoken of it is always insinuated that aliens or some mystical quantum physics force in the universe is making or manifesting them. When given this comparison over and over, a logical person would say..."Of course these highly sophisticated patterns , whose entirety can only be seen from the air, could never have been made by people tramping down grain with ropes and boards." 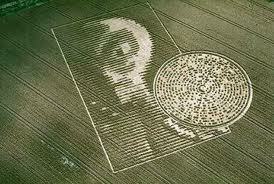 This leaves the person to think that crop circles must then be made by aliens or some mystical force. But... what is almost never mentioned is that these circles are most probably being created by the satellites circling earth. I find the same type of deception occurring with our frequent rapid fire weather and earthquake disasters. Global warming is almost always brought up as the cause of these increasingly frequent disasters. The main stream media NEVER mentions the possibility of weather warfare being used as a means to conquer the world and create world government. It appears that certain super powers are working together towards this goal. So...the next time you are bombarded with messages about global warming, melting ice caps, weather disasters or crop circles....research more into the area of space weapon technology. HAARP may play a role in all of this but it seems to me that the least mentioned or ignored probable cause is usually the culprit.